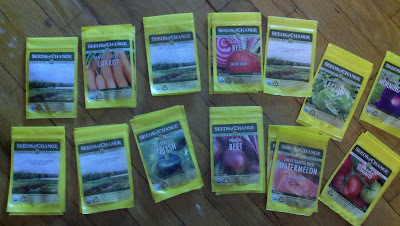 A couple months ago, I saw a post either on a blog, through Twitter or on Facebook sharing information that Seeds of Change would be giving away 25 packs of free seeds. The catch was that you will receive random seeds, no selection was offered. Of course I signed up to receive them and forgot about them. That is until they arrived today. Receiving that package was equivalent to finding money in your winter coat pocket that you left there the year before. In the package I received the following packages. Obviously it is too late to start the peppers and the tomatoes so those will have to wait until next year. 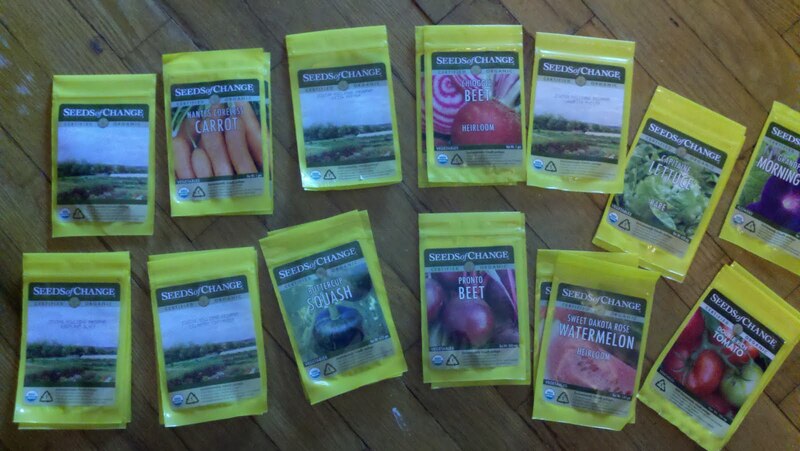 The others that I think I am the most excited to grow are the Chioggia Beets and the Capitain Lettuce. Although it may be a while before I will be able to plant them. We are still having winter weather advisories to the north of us which makes me want to hesitate before planting anything until Mother Nature makes up her mind. It's like Christmas! So awesome!